Our brand new 40 ft flat rack sea containers have easy access collapsible end rather than fixed end walls, and are ideal for storage and cargo of heavy items. 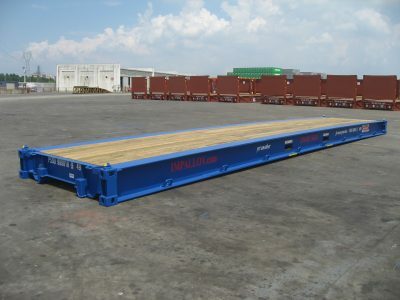 40 ft second hand flat rack collapsible end containers make it easy to load and unload items for shipping or storage. The sturdy corten steel frame is weather-resistant, and guaranteed to last for many years. These Australian owned collapsible end flat rack shipping containers are an affordable investment.